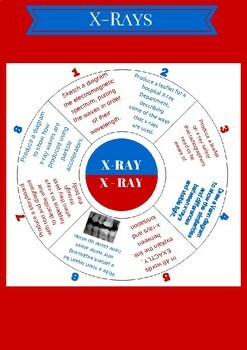 The activity wheel has 8 activities linked to X-rays, their uses, dangers and properties. The wheel starts off with easier activities and become increasingly more difficult, suitable for E-grade to A*. Both a colour and black and white version are included. 3) Students choose their own activities.